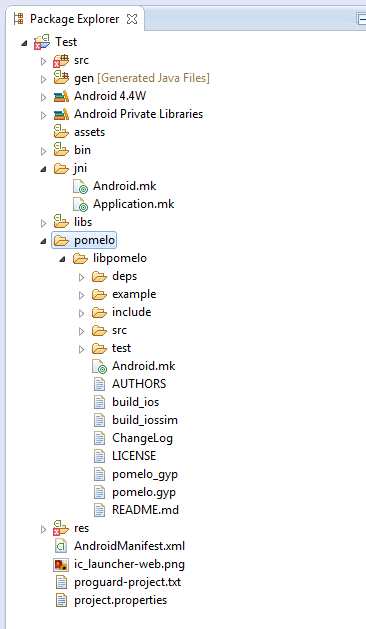 This is a tutorial on how to compile libpomelo for Android on Windows 7 (libpomelo is a C language client SDK for Pomelo). This tutorial is based on the Pomelo Club post http://nodejs.netease.com/topic/51752189b5a2705b5a102a2e with some optimizations (no cygwin needed). 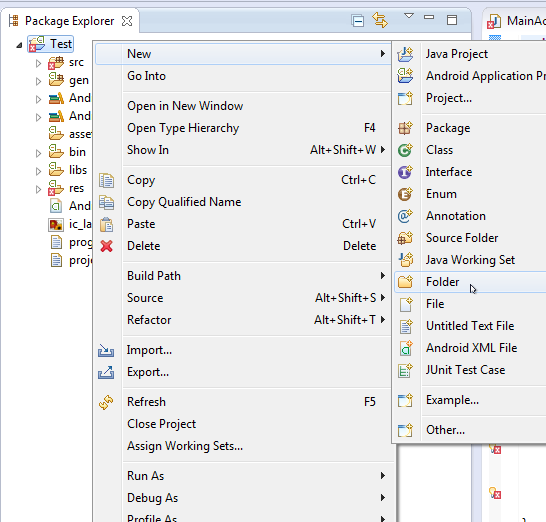 1. download and extract Eclipse ADT with the Android SDK for Windows (with a single download, the Eclipse ADT bundle includes everything you need) to C:\Android\adt-bundle-windows-x86-20140702\, then download and extract the current Android NDK for Windows to C:\Android\android-ndk-r10c\ – if not yet done (use your paths accordingly if installed in other directories). By default, the NDK build system will generate machine code only for the armeabi ABI. This corresponds to an ARMv5TE based CPU with software floating point operations. 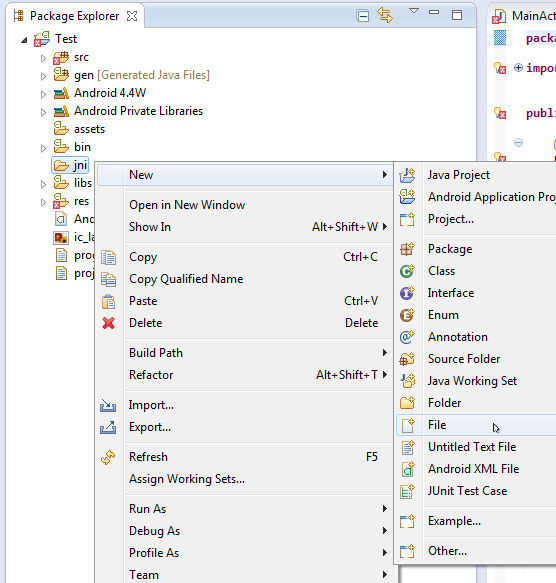 You can use APP_ABI to select a different ABI – the above APP_ABI definition creates 3 libraries with support for a ARMv5TE CPU, a ARMv7 with hardware FPU instructions and x86 devices. to compile libpomelo for Android. 10. After a successful compilation you’ll find the libpomelo.so libraries in the appropriate folder in the libs\ folder.